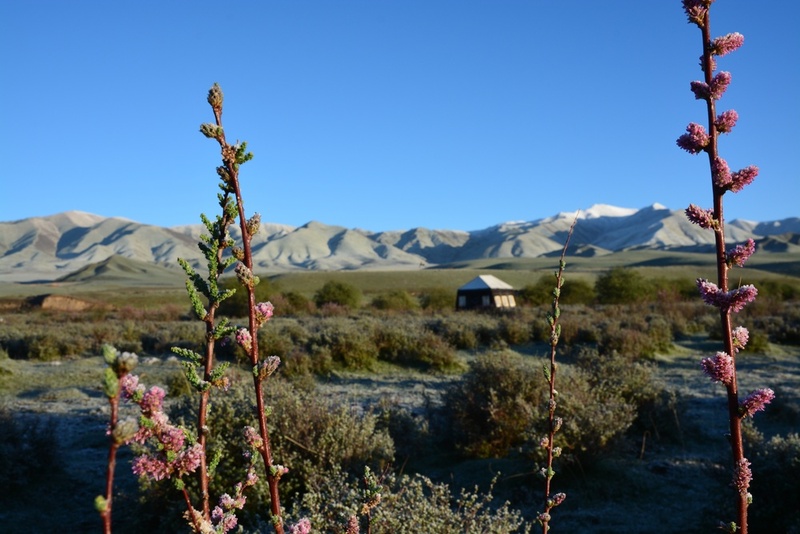 A stay at Norden Camp is an extraordinary way to experience the magnificence of Tibetan culture and the astounding natural beauty of the Tibetan Plateau in style and comfort. Situated just twenty minutes outside of Labrang, the famous Tibetan monastic town in the Tibetan Autonomous Kanlho Prefecture, Gansu Province, China, Norden Camp is a place where awe-inspiring memories are made. The site, a traditional winter grazing ground for nomad herds, is stunning. Covering 11 hectares (27 acres), it is surrounded by the rolling hills and distant mountains of the plateau; it borders a meandering river and is home to hares and marmots, foxes, gazelles, and many birds including pheasants. Flowering bushes dot the landscape, and in summer the ground is a carpet of wildflowers that bloom in stages from May into October. Yidam Kyap is a Tibetan nomad who saw the world and returned to his homeland with a strong desire to share its astounding beauty and rich cultural heritage. He and his wife, Dechen, are the visionaries behind Norden Camp. The success of their concept lies on their ability to strike a delicate balance between comfort and cultural and ecological responsibility. Norden is conscious luxury combined with sustainability and respect for the environment. 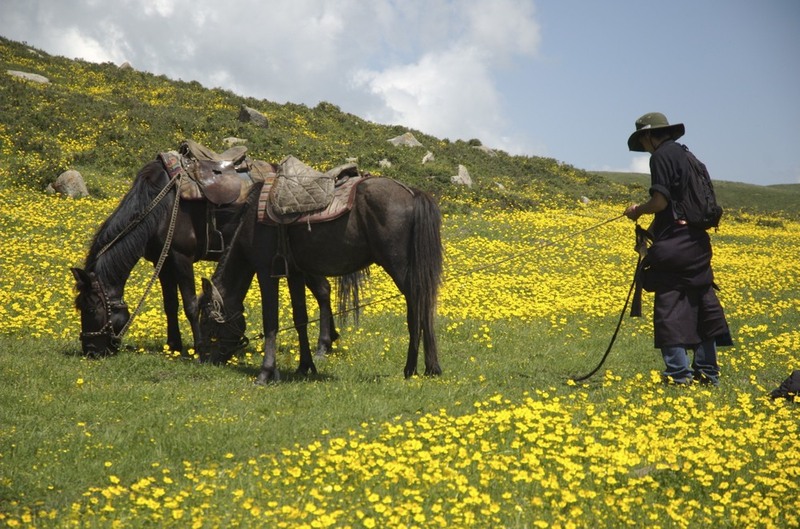 Norden Travel will customize your experience according to your interests, taking advantage of the colorful local festivals, the spectacular traditions of Labrang Monastery and all the wonders that nature brings to each season on the plateau. 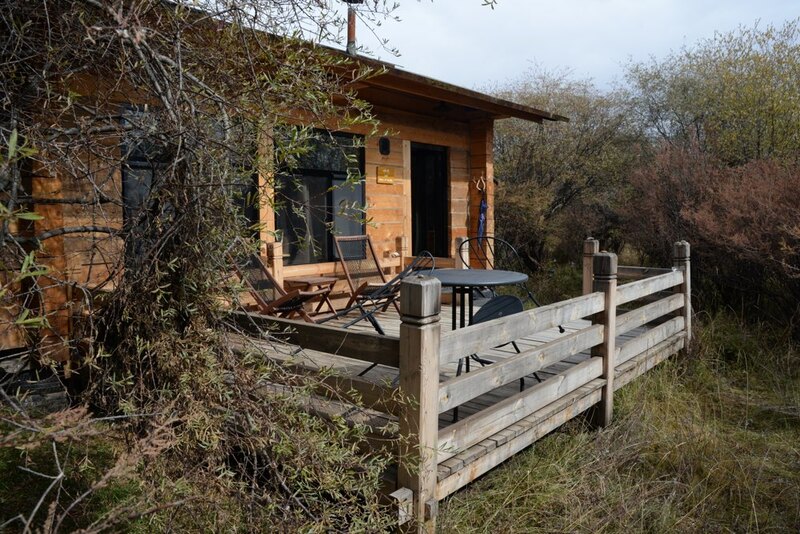 The camp comprises six fully appointed log cabins, one family suite cabin, and four yak hair tents. All accommodations, including tents, have wooden floors and comfortable, quality bedding. They are tastefully furnished in a traditional style with local antiques and accessories from Norlha Textiles. The log cabins and tents are all heated with wood furnaces.